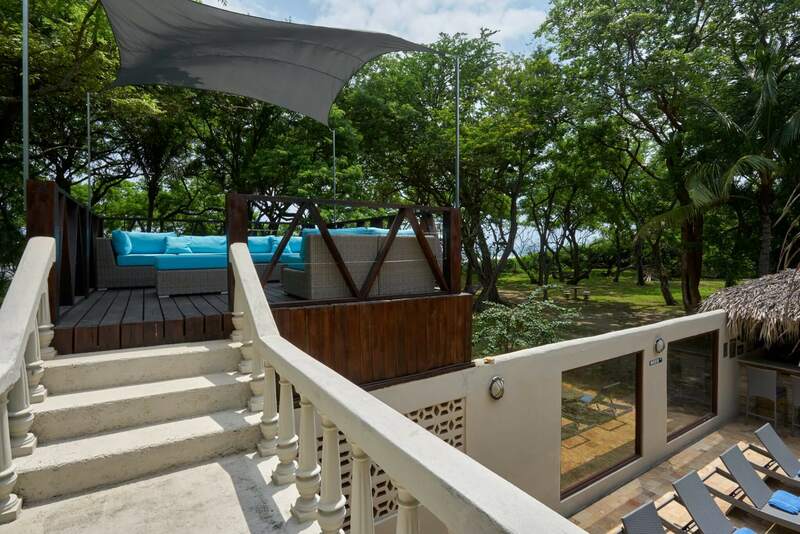 Casa Serena is a luxury rental villa set upon five acres of natural, unspoiled land that borders the rich blue waters of the Costa Rican Pacific Ocean. 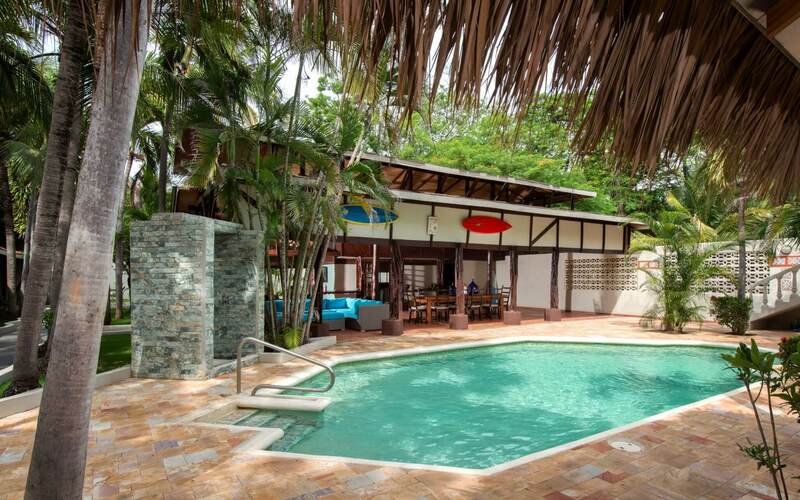 The beach is literally located at 30 paces from the home’s private swimming pool. 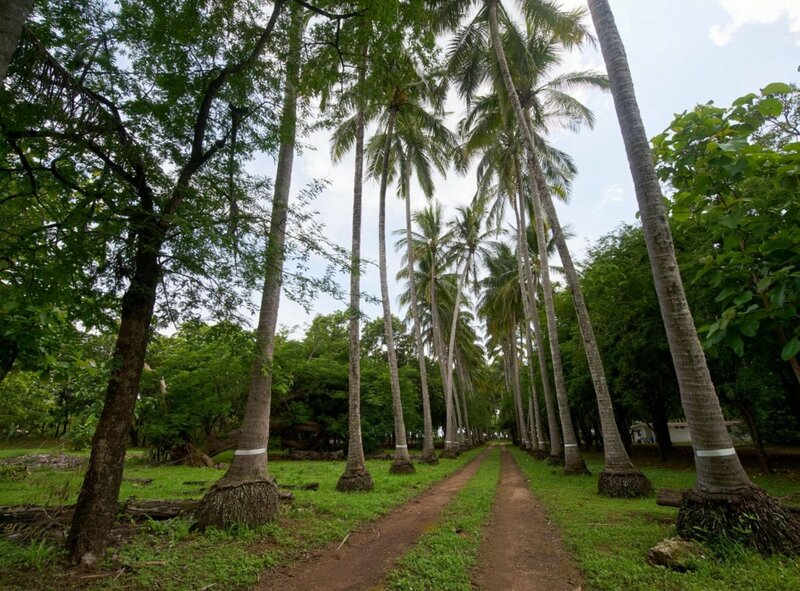 The entrance to this beautiful tropical estate is via a row of 80 mature coconut palm trees that were planted many years ago. 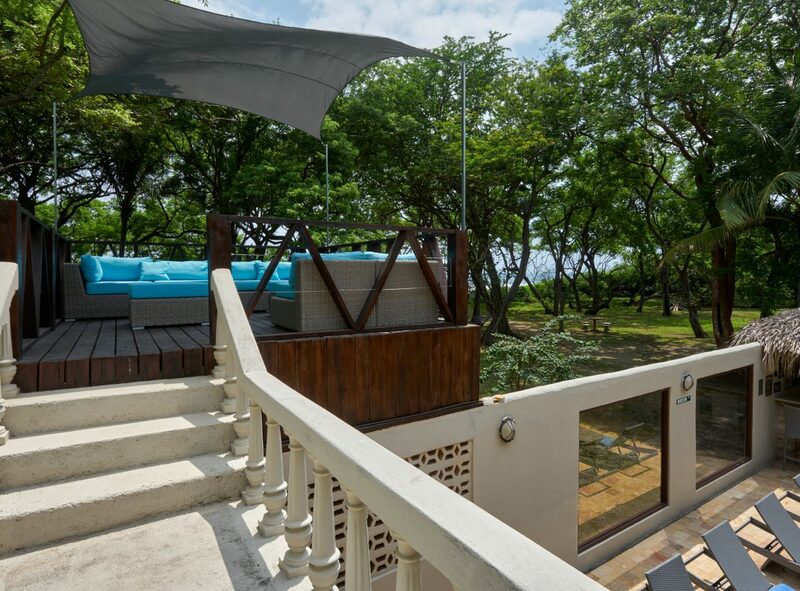 The main villa consists of approximately 500m2 (5,000 square feet) of built area comprising of five bedrooms, five bathrooms, a large living/dining room, kitchen, BBQ/bar area, swimming pool, large lush gardens and a private gazebo with beautiful sea and sunset views. 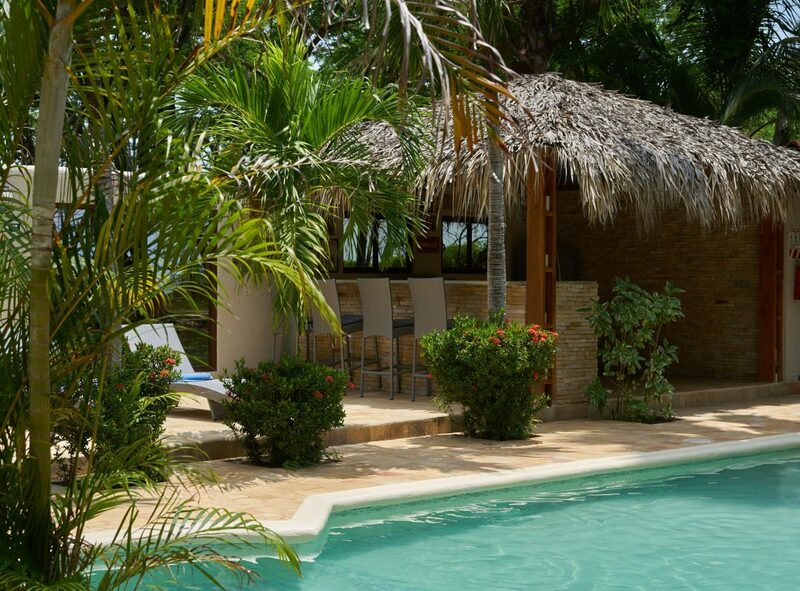 Casa Serena offers a perfectly sized swimming pool to cool down or enjoy a gentle swim. 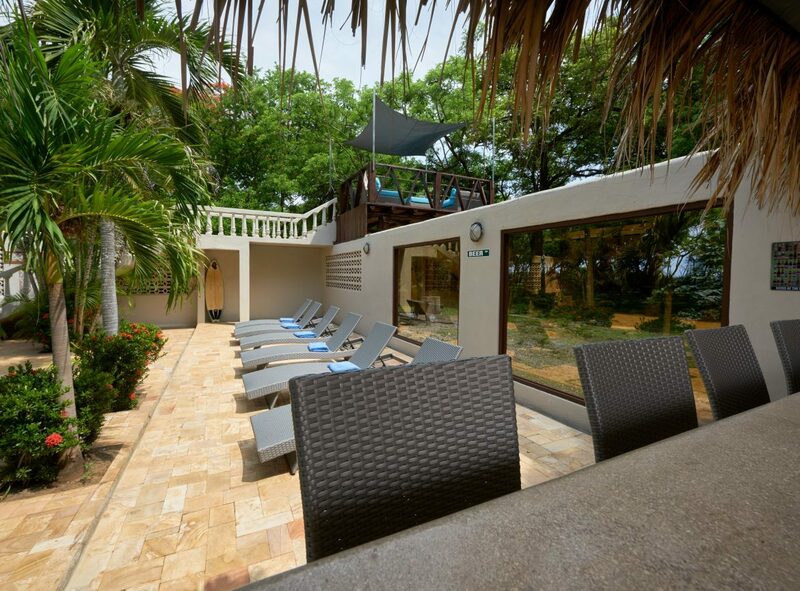 It is located between the outdoor living room and the BBQ area, making access to all areas of the house very easy. The shallow end is around 1.20m deep and the deep end is approximately 1.90m. 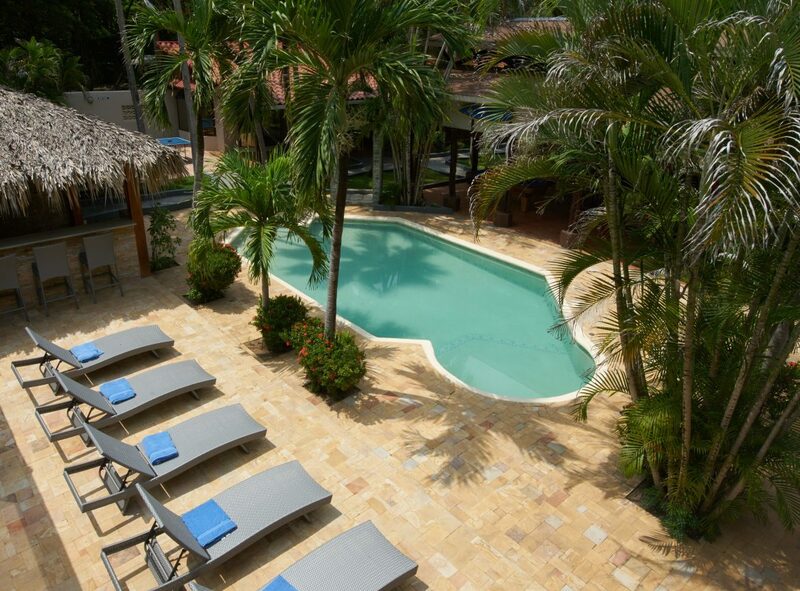 The pool is fitted with wide steps making access easy and safe. 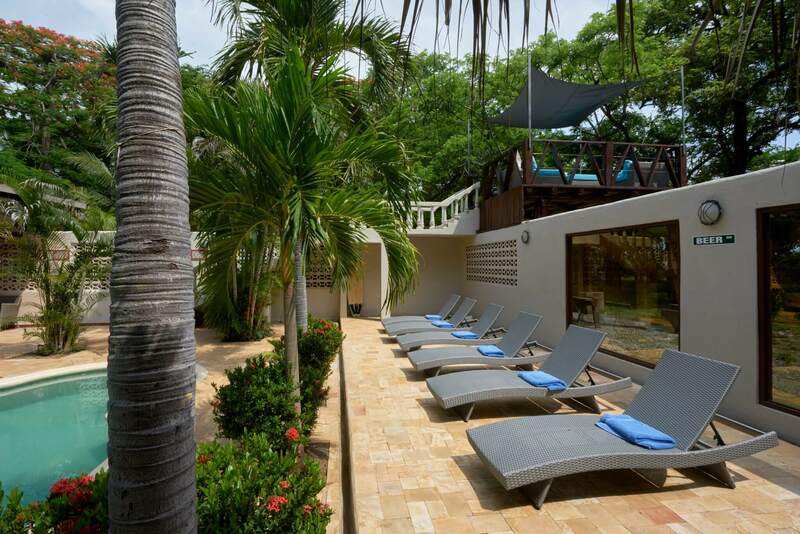 There are six very comfortable sun beds made of stylish grey color rattan and good quality beach towels are provided throughout the holiday for the convenience of guests. Two large glass panels have been integrated into the perimeter wall of the property so that guests can make the most of the fantastic views of the ocean from within a very secure location. 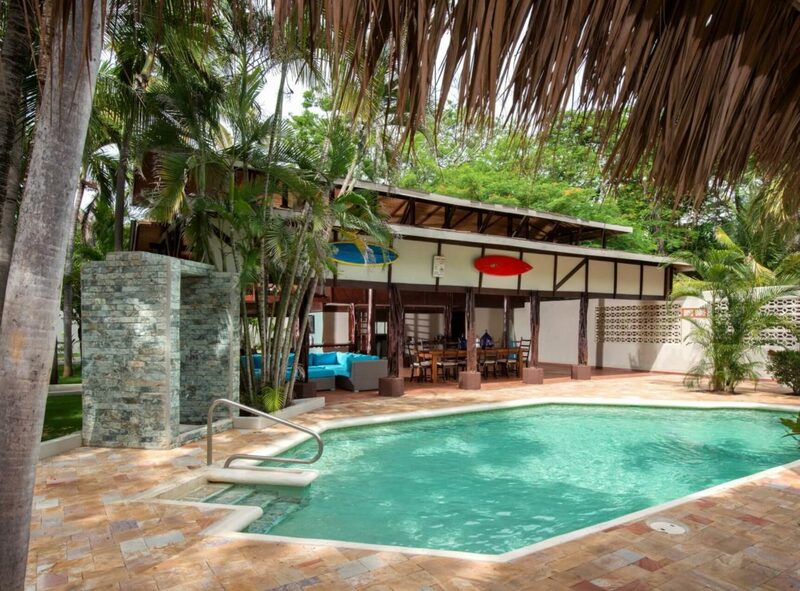 The pool is completed with a very stylish outdoor shower. 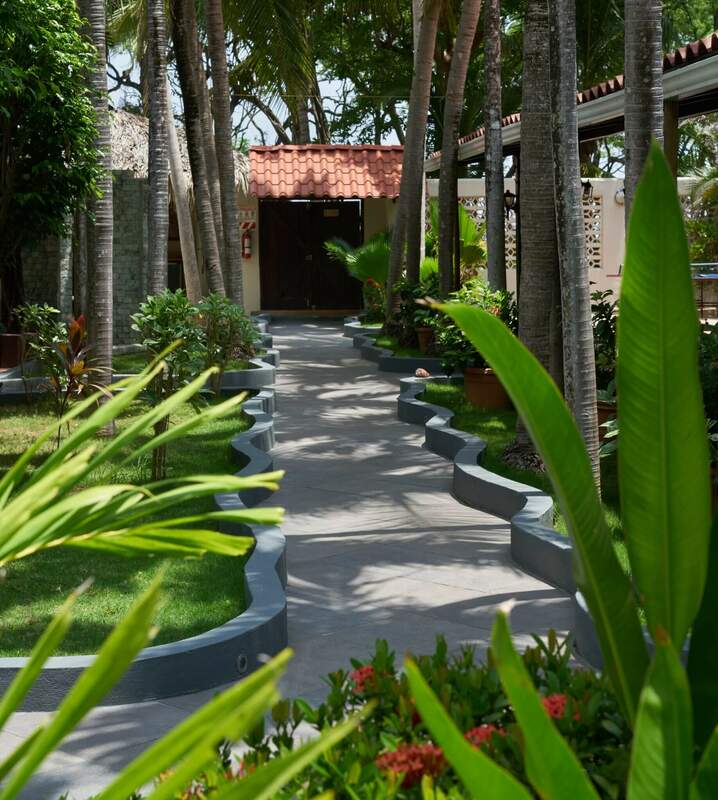 Built from handmade Guatemalan green stone, the shower is ideally placed to be used when returning from the beach, when stepping out of the pool or simply to freshen up under the hot Costa Rican skies. 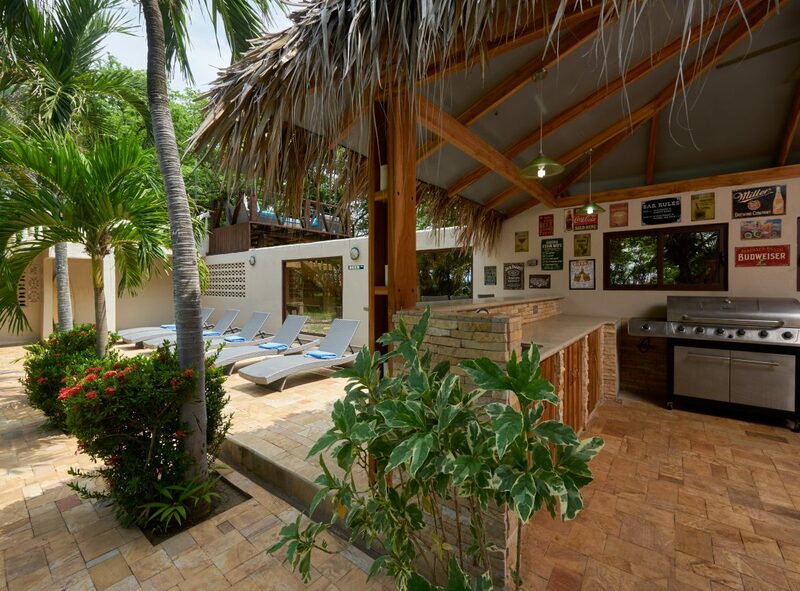 Built alongside the pool is an attractive BBQ area with amazing views to the Pacific Ocean via two large glass windows where the gentle ocean breeze enters. 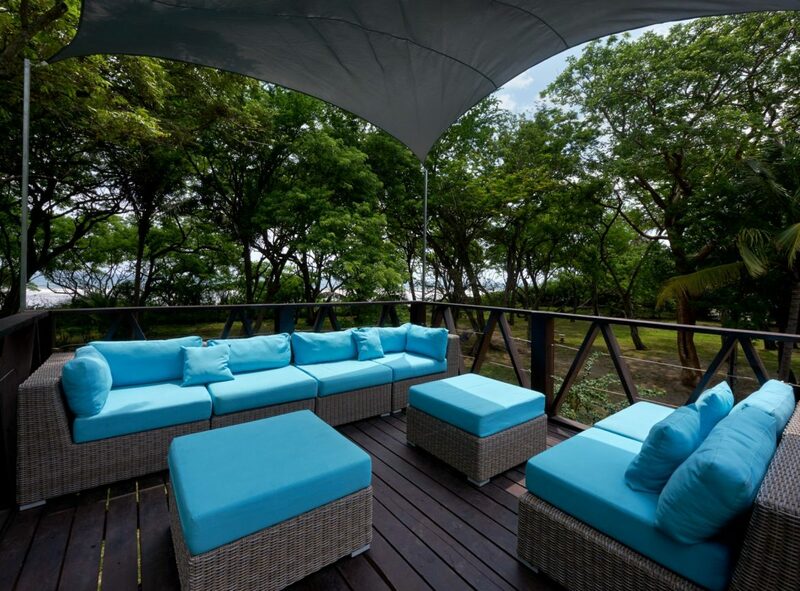 Fitted with a large gas BBQ grill to cook perfect ribs, steaks, burgers and everything else that you may enjoy…the BBQ area also includes a refrigerator/freezer, wine cooler and plenty of cupboard space to store things. 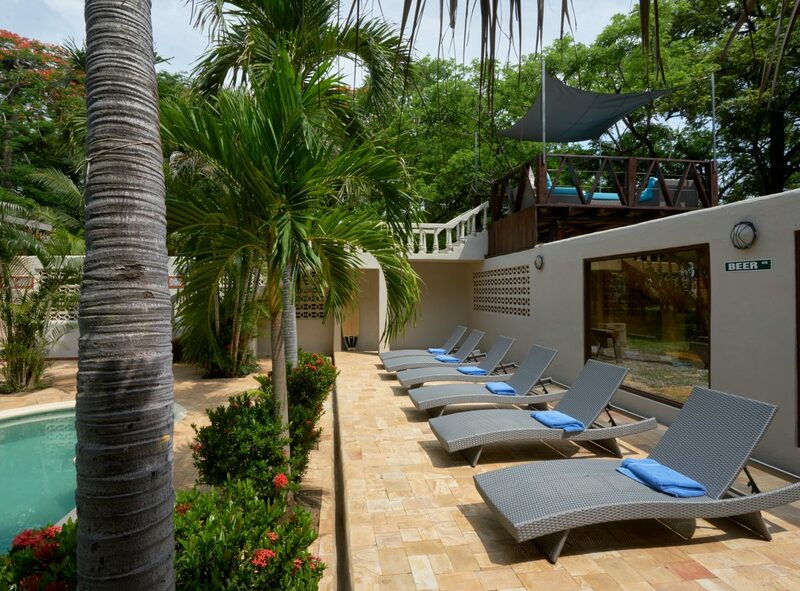 The adjacent bar that can comfortably seat up to four, will definitely be a holiday highlight. 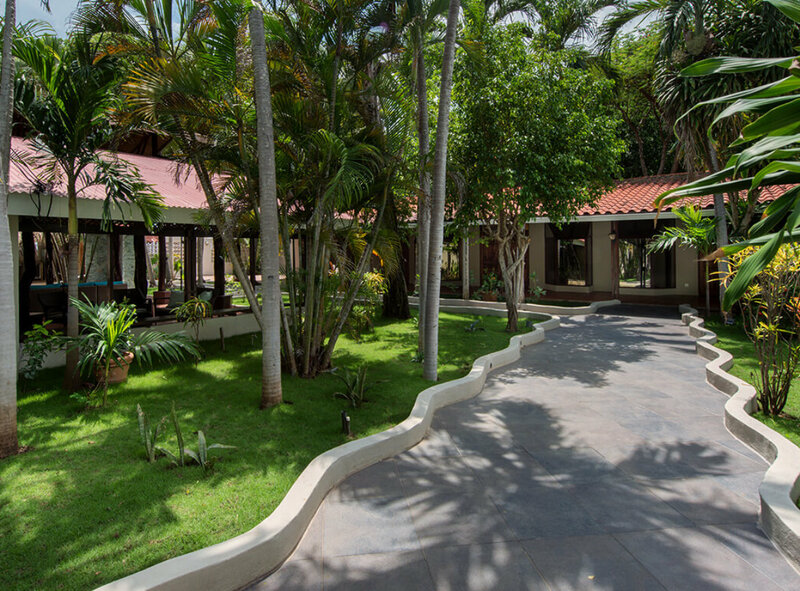 Here guests can enjoy music, a cool beer or cocktail and unbelievable views of the swimming pool and ocean, while a wonderful al fresco meal is being prepared. 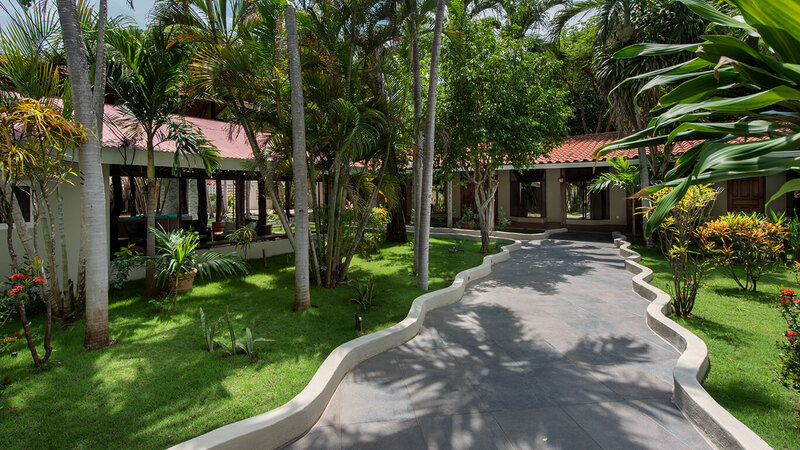 The lush gardens that have been planted around Casa Serena allow guests to feel like they are in a tropical forest. 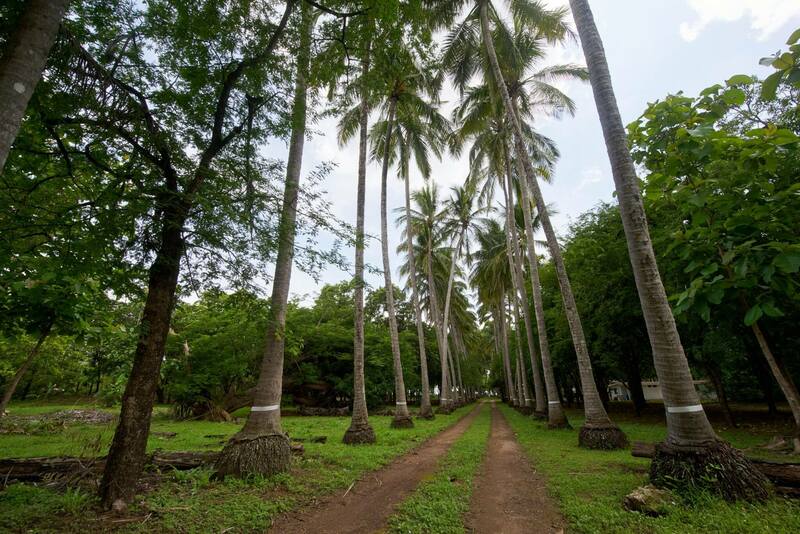 Bermuda grass ensures the area is always green and fresh, and together with beautiful plants such as bougainvillea, phoenix and other tropical flowers, the grounds of Casa Serena always look fantastic. 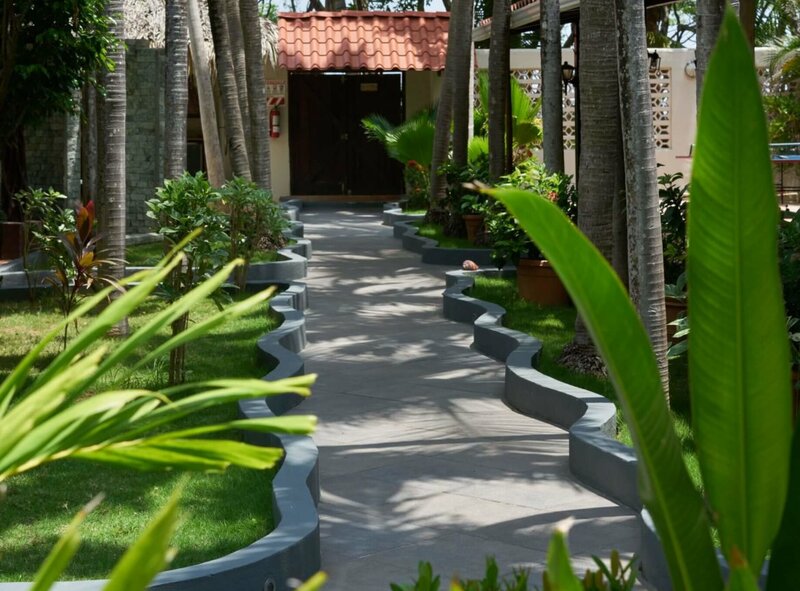 The outdoor pathways simulate the waves of the Pacific Ocean making this a unique feature of the property, and together with modern black tiling, everything blends perfectly within the tropical gardens. 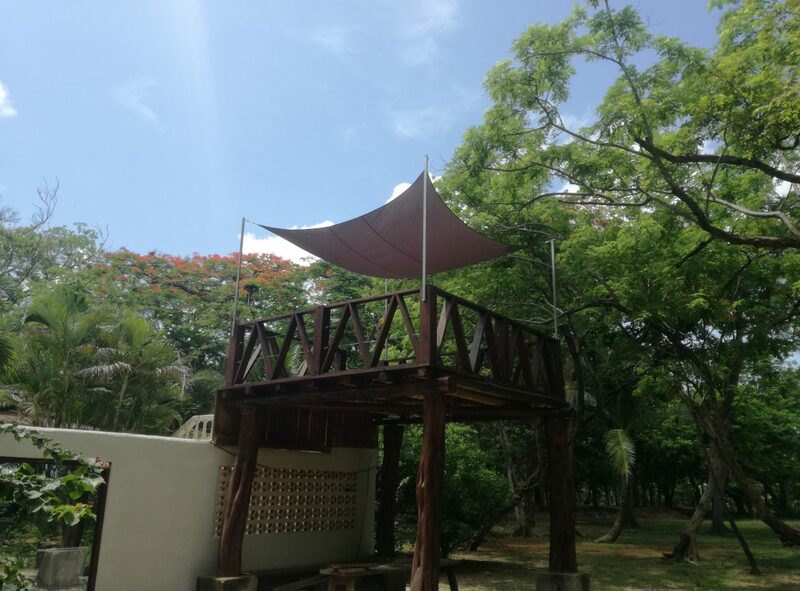 The gazebo is probably the most spectacular feature of all at Casa Serena, mainly because of it’s stunning location, elevated three meters above the garden and is facing directly out to the beautiful Pacific Ocean. 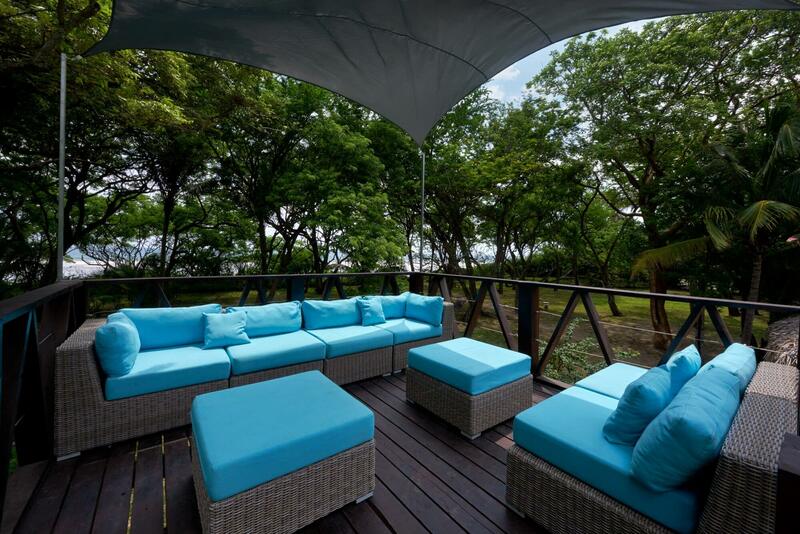 Guests can enjoy a relaxing drink while watching the most incredible Costa Rican sunsets. 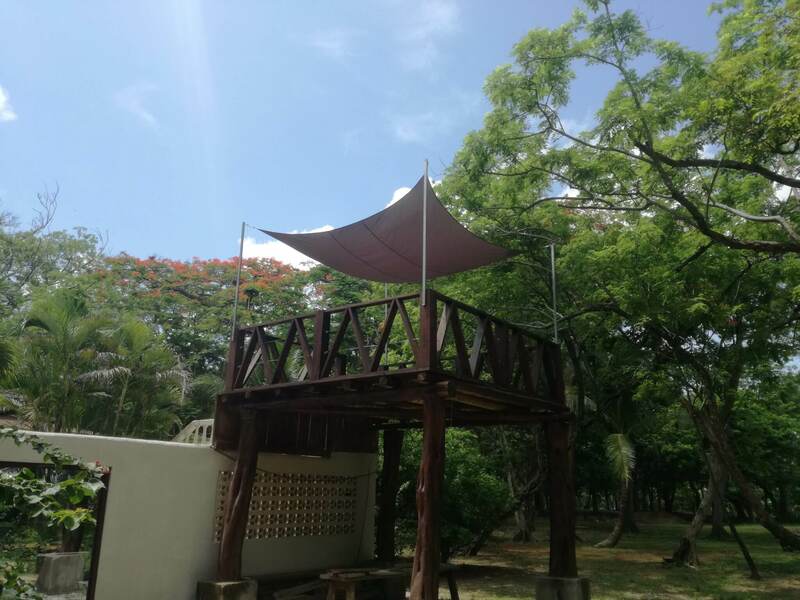 Built of teak and varnished to the highest spec, the gazebo is accessed from the swimming pool area by ten very secure steps and enjoys comfortable designer seating for maximum appreciation of this fantastic feature.